Mizo youngster Lalremsiami has been included in the 18-member Indian Women’s Hockey Team for the Hockey Women’s World Cup scheduled to begin from July 21 in London. India’s captain Rani would be leading team’s forward-line along with Vandana Katariya, Navneet Kaur, Udita and Lalremsiami. The Indian team have been placed in Pool B along with hosts England, USA and Ireland. The team would be led by experienced forward Rani while goalkeeper Savita would shoulder the responsibility of vice-captain. Fellow goalkeeper Rajani Etimarpu returns to the team after having been rested for the Spain tour. Lalremsiami is the youngest member of Team India. She has just led the Indian junior team to the final of Asian Youth Olympic Games where they unfortunately lose to China. She scored seven goals in the tournament. Lalremsiami, who hailed from Kolasib in Mizoram was trained by the Sports Authority of India and Mizoram state hockey academy at Thenzawl. She was spotted by the Indian managers and has been a regular at the junior and senior side of the Indian team. She represented India at the Commonwealth Games and India’s tour of Australia. 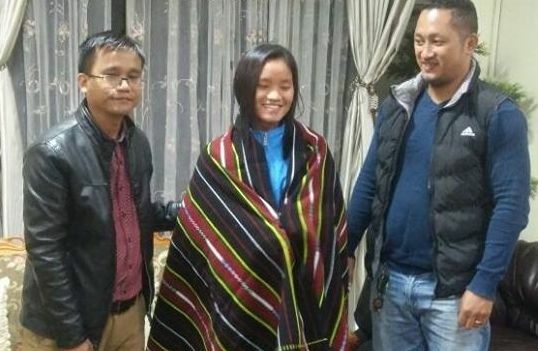 A member of the Indian team which won the 2017 Asian Championships, Lalremsiami modestly thanked God and the Mizoram hockey officials and the SAI for selecting her and giving her chance to prove herself.